We had a wonderful time Stilt Waking at Centerfest this year. 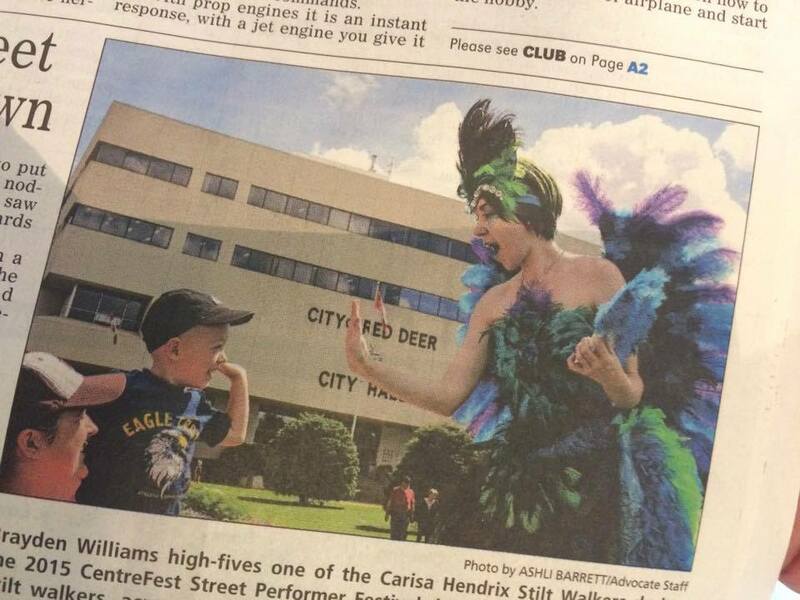 Looks like Red Deer loves giant birds! Thx to Miyako Palmer for catching this in the Red Deer Advocate. Centerfest is an amazing street festival and we are so grateful to have been a part of it.